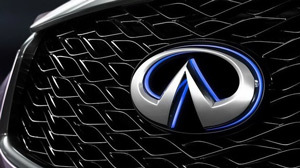 Infiniti, the premium line from the Japanese carmaker Nissan, has been on the cutting edge of technology. The luxurious interior appointments inspire a passionate driving experience every time you are behind the wheel. As passionate as Infiniti owners are about their cars, there's no way to avoid the occasional repair or maintenance visit. See the professional Infiniti repair specialists at Precision Automotive Service when it's time to come in. We can service or repair your Infiniti. All makes or models, new or old, are welcome. Quality Nissan or Infiniti Original Equipment or factory-approved aftermarket parts are used every time. Your Infiniti is indicative of your lifestyle. Whether you drive an FX45, G37S, or EX35, Infiniti is a brand known for the inspired drive and luxurious feel, and yours has a place in your heart. Let the experts at Precision Automotive take care of your one true automotive love. When your Infiniti is due for regular maintenance, don't delay. Preventative maintenance is key to hassle-free driving and long life. Precision Automotive Service is the only stop you need to make for all your Infiniti maintenance and repair needs in the Sacramento area. Schedule an appointment using the online request form or call us today.